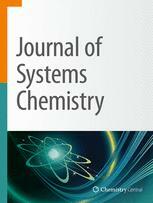 Journal of Systems Chemistry was discontinued in 2015 and no longer receives submissions. All articles published in Journal of Systems Chemistry during its time with Springer are archived and fully searchable. Authors of these articles can access their article's statistics via the 'my Chemistry Central' webpages. Please go here http://www.chemistrycentral.com/journals for a list of the open access chemistry journals currently published by Springer.